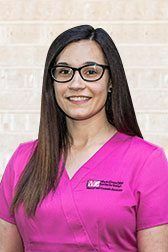 Misty has been a business assistant with our Fort Worth office for more than 11 years, and in that time has developed a strong connection with our patients and the rest of our team. Outside of work, she enjoys vacationing, volunteering, shopping, and decorating her home. She also enjoys spending time with her husband and their two children. 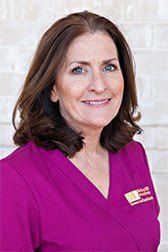 Candace has been with Dr. Givan’s office on and off since 2008. 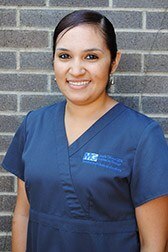 In 2007, she completed dental assisting school in Virginia and soon realized she enjoyed working with dental insurance. She is the friendly voice you’ll hear when you have a question about insurance or calling to make a hygiene appointment. Candace enjoys hiking and traveling with her husband of 11 years, their three children and two schnauzers. Cindy has been a part of our team on and off since 1985. She has studied at both the University of Texas at Arlington and Tarrant County College. In the time she’s been with us, she’s developed many great relationships with our patients. Cindy’s family first moved to Fort Worth in 1969, and ever since then she’s considered it her hometown. Away from the office, she enjoys baking, gardening, reading, and bicycling. Her husband is retired and she has two grown children and three grandchildren. She considers herself a lifelong learner. 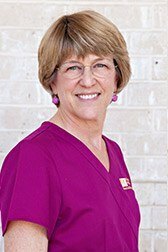 Even though Melanie has been a hygienist with our Fort Worth office for 26 years, every day offers new chances for learning. She loves working side-by-side with Dr. Givan just as much as she loves helping our patients improve their smiles. Melanie is married and has two grown daughters and two grandchildren. Outside of the office she enjoys sewing, cycling, and skiing. 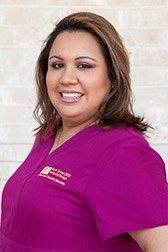 Edith is new to our office, she has been with us since July 2015 but has been a dental assistant since December 2013. She attended Tarrant County College for her Associate of Arts degree and continued on to Kaplan College for dental assisting. On her spare time she likes to watch movies, loves to go shopping and take vacations with her newlywed husband, children are in the future.